Coal fine briquetting system is a briquette system uses the coal fine briquette machine as the core equipement to turn the coal fine to briquette. 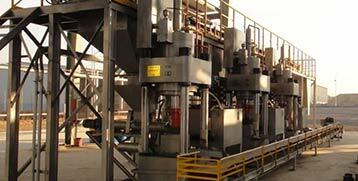 It includes two types, cold coal briquette and hot coal briquette, and most of the systems are cold briquette systems. 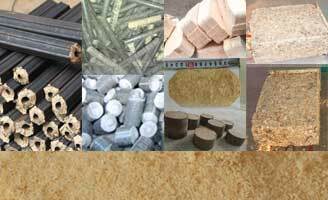 The cold briquette system also includes two types, binder free briquette and binder briquette. Binder free briquetting mainly relies on the characteristics of coal structure, its own nature and cohesive components, which is briquette under the action of external force. 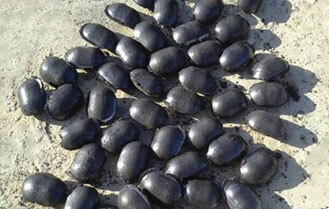 The suitable coal type is mainly lignite. Scholars have put forward many hypotheses about the mechanism of lignite binder free briquette, which are roughly divided into two categories. The other is based on the physical properties of the lignite briquette process, for the capillary hypothesis and the molecular adhesion hypothesis. 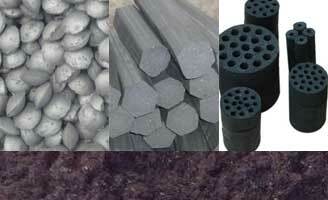 The binder free briquette mechanism for other coals is also divided into two categories. The other is a dry bonding mechanism that relies on the van der Waals force between the molecules and the mechanical meshing force between the particles to make the coal particles tightly bonded. Binder briquette means that the coal fine is fully mixed with the binder and then briquette under a certain pressure in combination with the bonding mechanism of the binder itself. Under certain pressure and proper moisture, the coal fine and binder particles slide into contact with each other, forming electrostatic attraction force, solid bridge bridging force, and liquid bridging particles coupling force and van der Waals force. These forces work together to bond the coal fine particles together to a coal briquette. Coal fine briquetting conditions include briquette pressure, briquette moisture, binder type and ratio, mixing time and mixing way, material size and composition, curing way and coal briquette drying temperature, etc. And the main factors that will influence its strength are coal fine size and size distribution, briquette pressure, briquette moisture and binder. 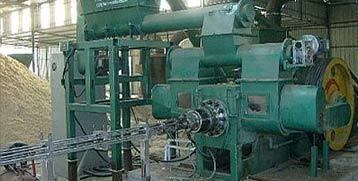 Coal fine briquetting is the process of coal particle agglomeration. The proper particle size and composition of the coal fine will affect the tightness between the coal fine particles, the total specific surface area of the coal fine. The total specific surface area is related to the binder. On a binder free briquette, when the briquette pressure and briquette moisture are certain, the particle size is an important factor which affects the briquette strength. The lower the coal fine particle size under high pressure binder free conditions, the higher the strength of briquette. Under the binder free condition, the ratio of large-grained high-ash coal fine increases, and the briquette strength increases first and then decreases. For binder free briquette, finer coal particles are generally used, while coarser particles are suitable for coal fine with higher ash. When there is a binder briquette, particles of different sizes will produce different specific surface areas, which will seriously affect the degree of bonding with the binder particles, which may lead to the loss of the binder in some areas of the briquette. The higher the coalification degree of coal, the larger the micelle structure of coal, with the increase of the elasticity and hardness of coal, the plasticity is reduced, which will lead to different compressible spaces of coal particles of different coal ranks when briquetting. Studies show that bituminous coal and anthracite use larger particle sizes can better stabilize briquette strength, whereas lignite requires smaller particle sizes. Under the briquette pressure, the coal particles of the high rank coal are not easily broken, which we shall be appropriately increased the particle size, while for the low rank coal, the particle size should be appropriately reduced. The gradation distribution is to combine the particles with different sizes in a certain ratio to achieve a higher degree of compaction for the briquette. The reasonable combination of the grain size will directly affect the density of the coal which is closely related to the hardness, and affect the strength of the coal. 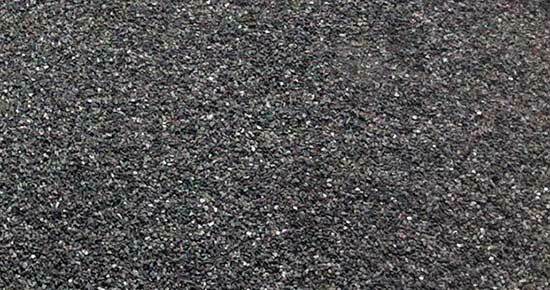 The best gradation of coal fine is mainly coarse-grained grade, followed by fine-grained grade, and the middle-grained grade is the smallest. When the coal fine particle size is too concentrated to the upper or lower limit, this will reduce the briquette strength. The composition of any single particle size will reduce the strength of the briquette, so the coal fine grading distribution should be based on different sizes matching. The briquetting pressure is the external pressure that is applied to the mixed materials such as coal fine, binder and water in the coal briquette machine. Briquette pressurization is a process that must be experienced when making coal fine briquette, and the effect on binder free coal fine briquetting is more prominent. How to activate the hidden cohesive force in coal is the key to binder free coal, and briquette pressure is an important means to activate adhesion. As the briquette pressure increases, the briquette strength first increases and then decreases, and at 25 MPa the briquette gets the best strength. 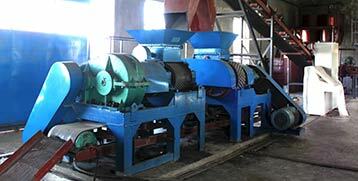 With the binder free way, increasing of briquette pressure is beneficial to increase the strength of the briquette. 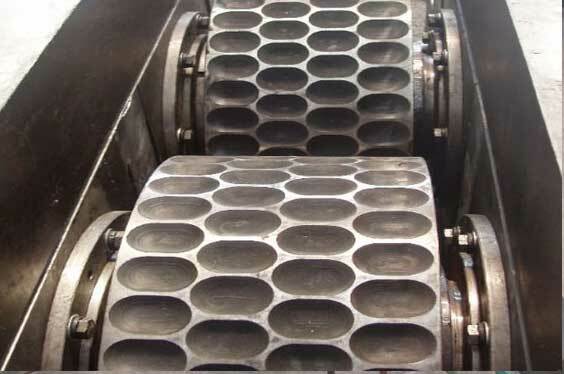 For a binder way, when the binder is different, the maximum briquette pressure of the briquette is also different. Increasing the briquette pressure will compress the coal fine to an extreme value, continue to increase the pressure, the coal fine endurance will exceed the limit and the crushing phenomenon. When the briquette pressure is greater than the limit of the coal fine particles, there will be broken coal splitting phenomena and rebound phenomenon, it will destroy the integrity of the coal particles and cause cracks in the briquette, thereby reducing the strength of the briquette. The briquette pressure should be less than the crushing force of the coal particles, the overall structure of the coal briquettes is relatively complete and the strength is stable at that condition. The briquette’s moisture includes the inner moisturizer and the external moisture. Generally, the briquette moisture refers to the external moisture. To mix the coal fine with the moisture and then add the binder. The strength of the briquette which first mixes the binder with the coal fine and adds moisture is much greater than the briquette strength of the binder after the first moisture is added. This is because a water film is formed on the surface of the coal particles after preferential moisture distribution, which prevents the binder particles and the coal fine particles from coming into contact with each other. The moisture plays a role in lubrication, compaction, heat conduction and hydration with the binder during the coal fine briquetting process. As the briquette moisture increases, the briquette strength increases first and then decreases. This is because the moisture can bring tiny particles into the infiltrated pores, reduce the porosity and make the coal particles dense and compact, while the excessive water film on the surface of the particles will cause the coal fine to swell and loosen. There is an inflection point in the influence of briquette moisture and briquette strength, which is treated as the best briquette moisture. For the inorganic binders, the moisture hydration reaction with the combination of the moisturization bonds the pulverized coal to each other. If the moisture is too low, the hydration reaction time will be slowed down and the briquette solidification time will be prolonged. 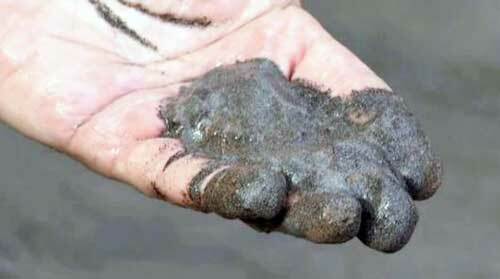 For organic binders, the moisture acts to lubricate the movement of its molecular groups, promoting the contact of molecular groups with the surface of the coal fine. If the moisture is too high, it will hinder the action of the molecular group, and the excess moisture will overflow during the pressing process and take away some of the binders. For hydrophilic binders, an appropriate amount of moisturizer not only promotes the movement of coal particles, but also facilitates bonding to each other, but too much moisture will result in poor bonding effect, and suitable moisture is generally between 10% to 15%. For hydrophobic binders, excessive moisture increases the repulsive force of the hydrophobe and hinders its bonding. The general material moisture should be controlled below 4%. 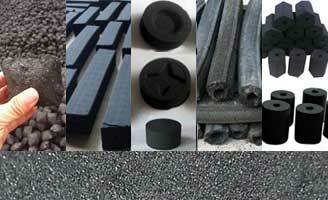 Choosing the right binder is the key to coal fine briquetting before making briquettes. Now, there are hundreds of coal briquette binders. The briquette binders are roughly classified into three types: inorganic binders, organic binders, and composite binders. Organic binders can be divided into two types: hydrophobic type and hydrophilic type. Composite binders can be divided into three types: organic-inorganic, inorganic-inorganic, organic-organic. Due to the different binder components and properties, the binder bonding process is different, mainly chemical bonding, cohesive bonding, hydration bonding, adhesion bonding and polycondensation bonding. The amount of organic binder used in coal briquetting is more sensitive than the inorganic binder in terms of briquette cold compressive strength. Inorganic binder can significantly increase the strength of briquette, but it will increase the briquette ash and the cohesiveness is not high. The organic binder will not increase the briquette ash but the strength sensitivity is high and with poor waterproof performance. The composite binder can make up for the deficiency and shortcomings of the single binder to make the performance of the briquette optimal. There are two ways in which the same kind of binder affects the strength of briquette: a concentration with a certain quality and a mass with a certain concentration. The optimum concentration of binder has the highest amount of briquette strength, and the influence of different concentrations of binder on briquette strength is also different. In addition to the above factors, the strength of cold pressed briquette is also affected by factors such as mixing uniformity, additive composition, coal rank and temperature, etc. The mixing uniformity is positively correlated with the stirring time. When the stirring time is more than 35 min, the mixing uniformity is the highest and the briquette strength stability is the best. The influence of briquette additive components on briquette strength varies. For example quick-setting additive will enhance the compressive strength; Phosphate and Fe2O3 hinder the increase in compressive strength. The microhardness and true visual density of coal with different coal ranks increased, and the compressive strength of briquette increased obviously. The hydrothermally treated coal fine, moisture and volatiles were significantly reduced, but the saturated alkanes increased, and the higher the hydrothermal treatment temperature, the greater the compressive strength of the briquette. The group distribution ratio and production process of cold coal briquette are important means to improve the cold compressive strength of coal briquettes and the adsorption performance of stable coal. Fully understand the composition, specific gravity and production process of briquette on the strength of cold coal briquette, and on this basis, optimize the production process of the outstanding simulation test briquette. It is of great significance to make a comparative simulation of similar materials and process research with high physical and mechanical properties and adsorption properties of raw coal and to carry out large-scale outburst simulation experiments using large-size briquette in the future.